Happy Tuesday! I hope your week is off to a great start! Yesterday morning, I had to take my daughters to the dentist for their routine cleaning and checkup. I have never seen anyone else besides them so excited to go to the dentist! I thought they loved the prize box but really they just love the whole experience. It shocks me every time I take them how much they enjoy it. I had to literally be dragged into the dentist as a child. I hated it so much! Now as a grown up, I don't dislike it quite to the same extreme and ironically, I still go to the same dentist today (I'm 31) that I went to when I was five years old. 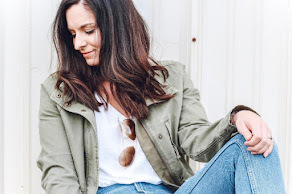 Today, I'm sharing a super casual weekend look that is perfect for pretty much any activity where you want to look put together but comfortable. Comfort is almost always key for me when I choose what I'm wearing. This lavender tee from BohoBlu is so comfy plus the detail on the back takes this basic top up a few notches. I love when t-shirts have fun details that make them more than just your average tee. 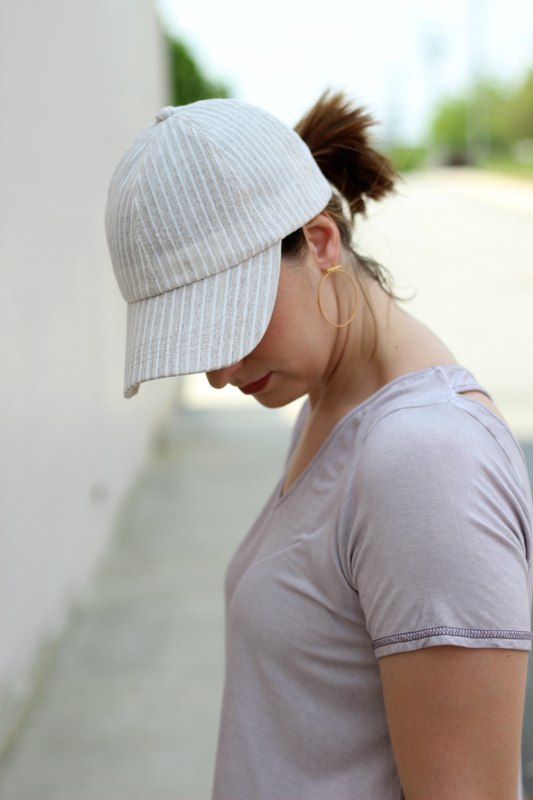 I paired the Calista top with denim shorts, a striped baseball hat, neutral sandals, gold hoops (my most favorite pair of earrings I currently own), and my Arabella tote. 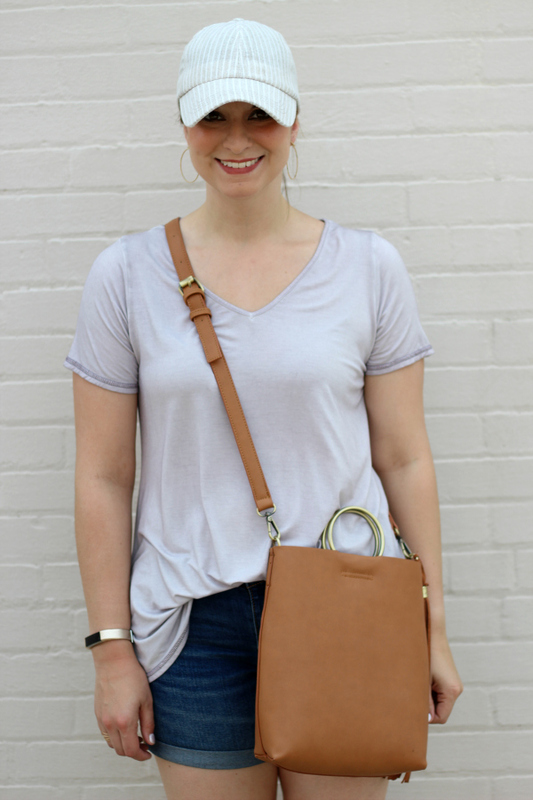 The tote can be worn as crossbody like I did today by adding the strap or carried on it's own like I styled it in this post. 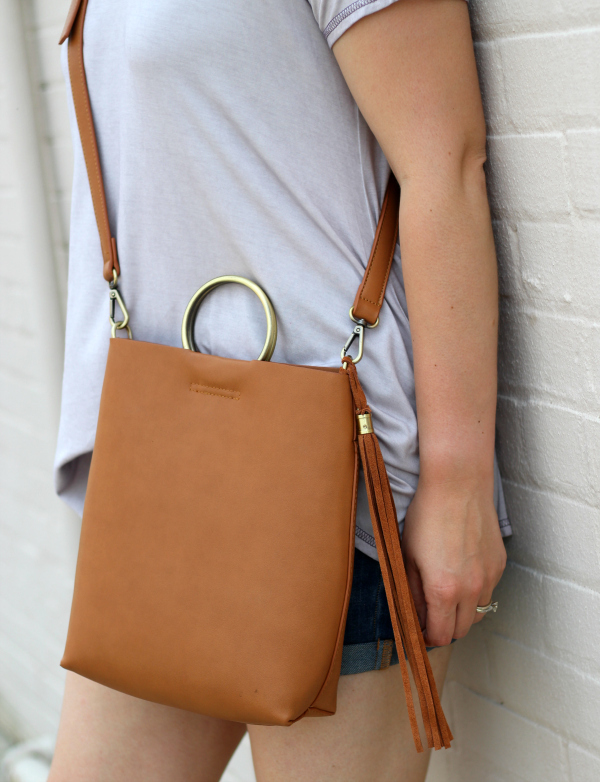 It's such a versatile bag! This is such a cute outfit! 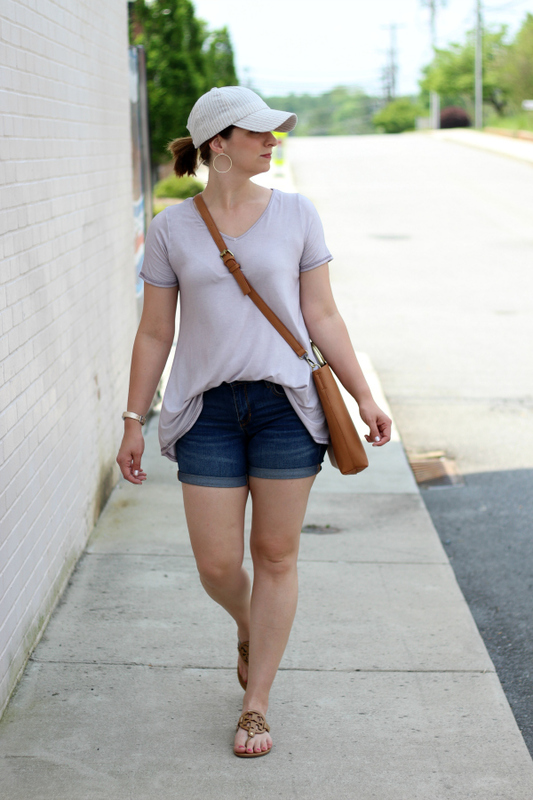 I love a good casual look! I feel you, i still hate the dentist! 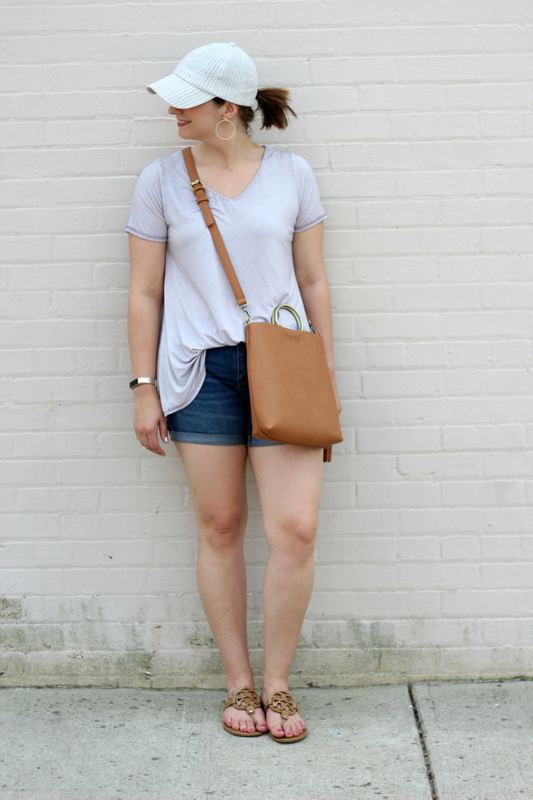 But loving this casual look! 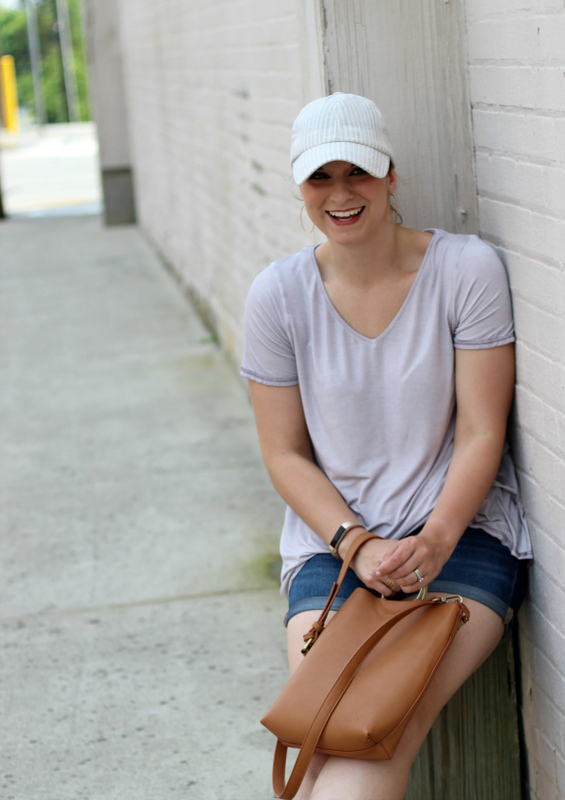 I love this casual look! The bag is to die for! Love the shape! Loving the casual outfit! It is so perfect for the warmer weather. 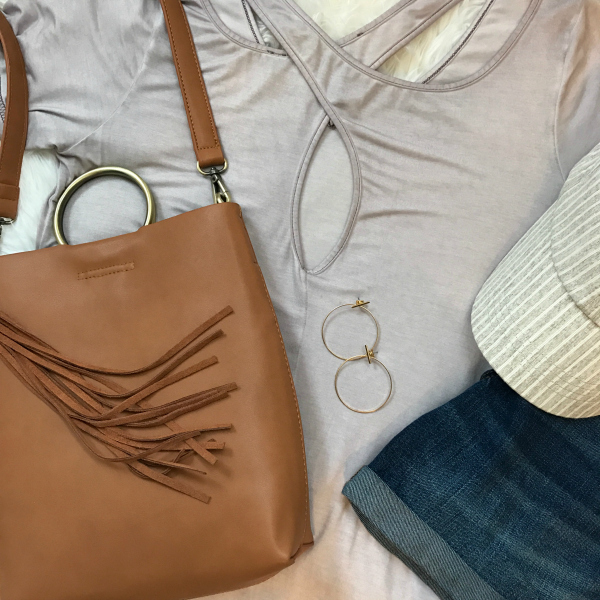 That is my kinda of weekend outfit! Super cute back detail too.